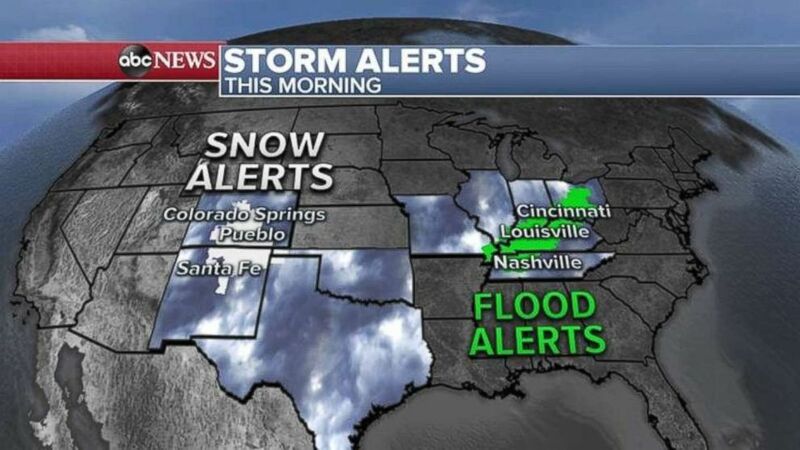 Ahead of a massive storm system, 10 states are under weather alerts this morning, with heavy, wet snow falling in the Rockies and flooding expected in the Ohio River Valley. Snow and flood alerts have been issued over a large swath of the country. 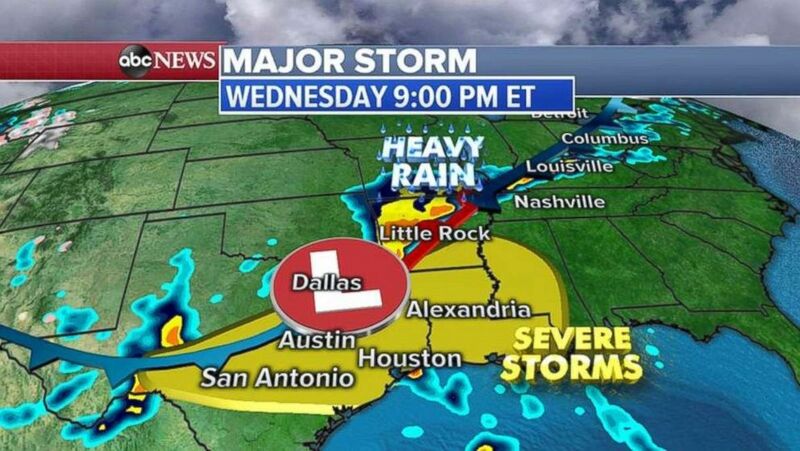 The storm system this afternoon is moving into the Gulf Coast and South, with severe storms possible from San Antonio to Houston to parts of Mississippi. Damaging winds, hail and tornadoes are possible. Flooding may stretch north all the way to Louisville. The Gulf Coast is expected to get battered later tonight. The storm will move farther east by Thursday afternoon, into the central Gulf Coast region and up closer to the Ohio River Valley. 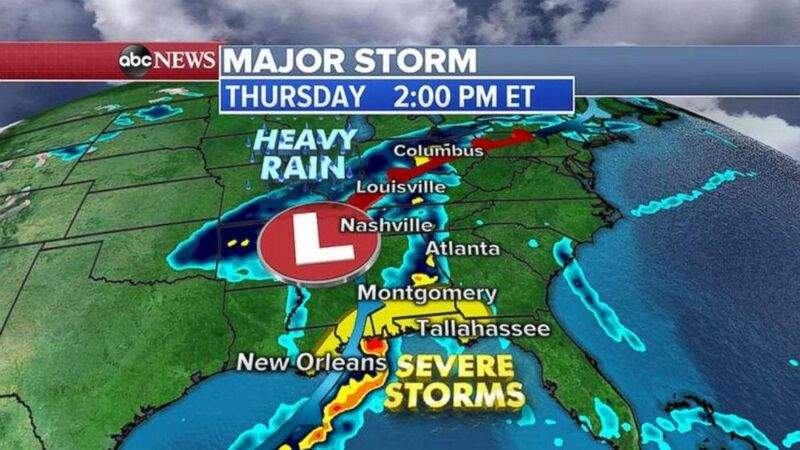 Severe storms may strike anywhere from New Orleans to Tallahassee. More severe storms are expected on Thursday. 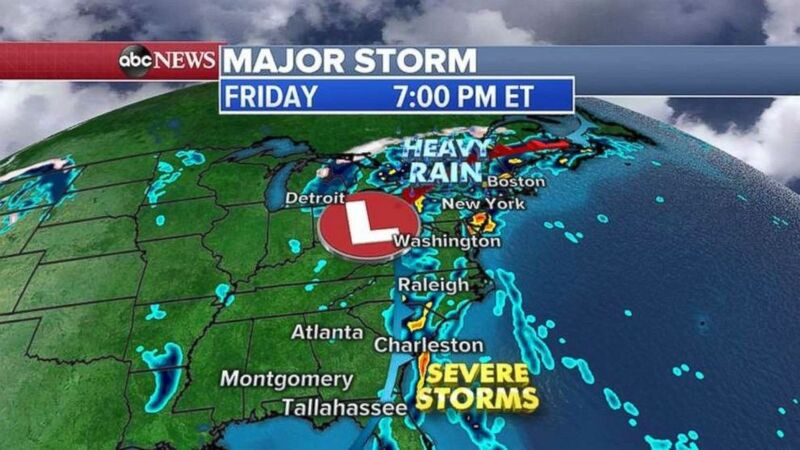 Heavy rain is expected to strike the East Coast on Friday, stretching from Florida all the way up to the Carolina and then into the Northeast, where flooding will be possible. The Northeast could see some heavy rain on Friday. Over the next few days, though, the heaviest rainfalls should be in the Ohio River Valley, where some parts may see half a foot.